Want to get into cycling this year? Yoga? Just looking for a gym that works with your hectic schedule? Whatever you need to get active, Downtown Lincoln has got you covered. 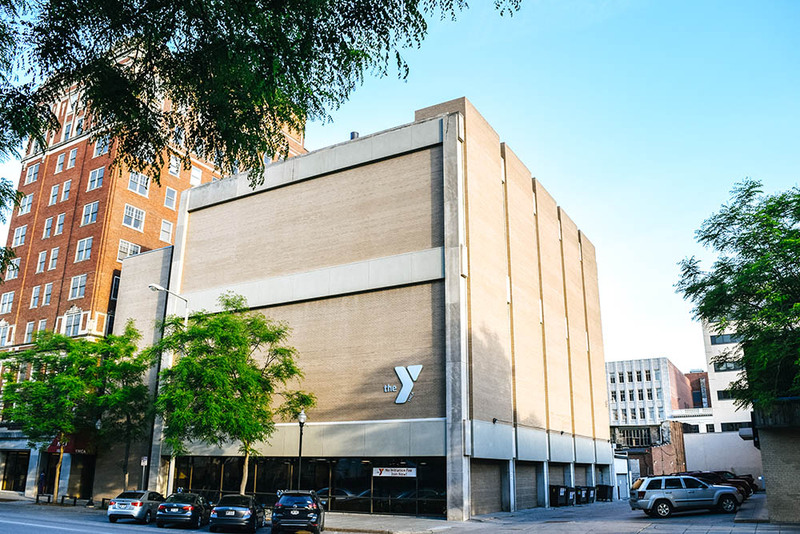 Check out three downtown gyms that offer everything from state-of-the-art facilities to classes for every level to high vibrational coaching, all in a five-block radius. FLY is a fitness studio specializing in cycling, barre, yoga, and high intensity interval training (HIIT) classes. The studio is state-of-the-art and founded on the idea that fitness could and should be a lifestyle. Along with their group fitness classes, FLY focuses on building a community of their members with special outings and classes outside of the studio. The FLY Philosophy: "We listen to what we know instead of what we fear. Our energy is positive, our vibe electric. We make everybody feel like a somebody. We let go of thoughts that don't make us strong. Our truth is authenticity, we have nothing to prove. We are a community of people who aspire to be awesome, seeking opportunities and rejecting expectations. Together and as individuals, WE are AMAZING. We are FLY." Fly Cycling Series - "Our inspiring, high-energy cycling classes are set to amazing playlists and challenge you to reach your highest fitness potential. All classes are designed to give you a motivating, positive experience that will totally engage you and give you an incredible workout leaving you drenched. Come sweat with us!" Fly High Intensity Strength Series (Intervals, Weights & Cardio) - "Our ultra-efficient, calorie torching high intensity strength series won’t leave any muscle unworked. These classes burn the maximum calories, use the latest techniques to enhance muscle endurance and strengthen your entire body." Fly Sculpting Series - "Our revolutionary sculpting classes will transform your physique through vigorous full-body exercises that lengthen and strengthen the body. You’ll go deep, systematically challenging every muscle and conditioning your body while boosting your metabolic rate and cardiovascular endurance. Expect high-energy playlists, props and form-focused attention. With regular attendance at our sculpting classes, you’ll start to fall in love with the way you carry yourself both inside and out of the studio." Check out the FLY schedule here. 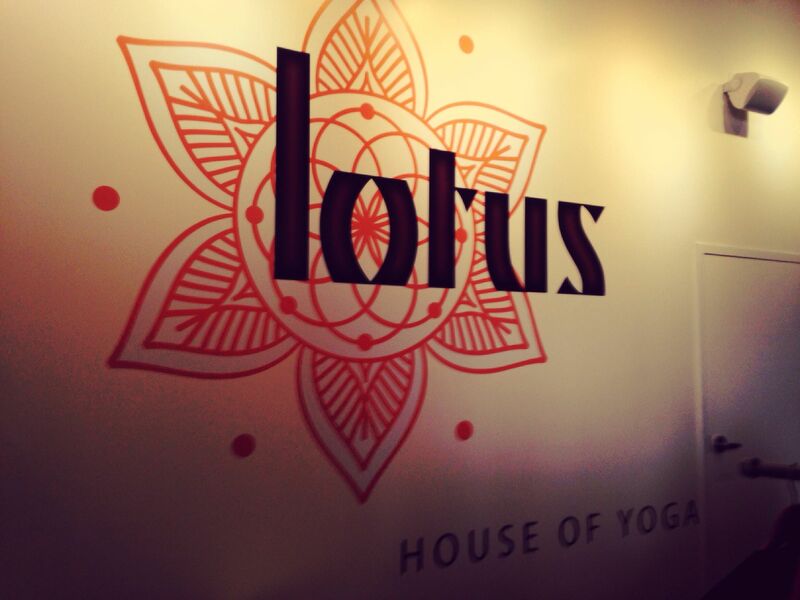 Lotus House of Yoga is a vinyasa-based studio that offers a variety of classes for all levels. Whether you are looking for a vigorous flow or a mellow restorative class, Lotus is here to introduce you to the world of yoga or take your journey further. Lotus also offers personal, spiritual coaching and teacher training for aspiring yoga instructors. The Lotus Philosophy: "We believe that yoga exists to still the winds of the mind and uncover the sleeping power within. Everybody has the tools to live their strengths, to know pure joy and to be happy." Flow - A dynamic class designed to connect energetic muscles and a focused mind. This class offers the full spectrum of yoga benefits including a vigorous workout, increased flexibility and a bliss filled mind. Sequencing is intentional and rhythmic, meaning you will move from one post to the next at a consistent pace with attention to the breath. Power - A vigorous vinyasa practice, this powerful sequence builds heat and demands strength. This class takes the body from full throttle to serene soul through inversions, arm balances, and lots of deep breathing! Basic Flow - A basic class designed to combine breath with movement. In each pose, there is an opportunity to find proper alignment while giving your body a nourishing chance to let tension go. This is a great class for all levels, whether you want to learn the foundational poses or are looking for some time to unwind. Hot Power/Flow - Our signature Power and Flow classes with a touch (or a lot) of heat! Hot classes are designed to detoxify your mind and body on a cellular level. The room temperature is set between the range of 80-85 degrees for “Heated Flow” and 95-100 degrees for “Hot Power and Flow.” Humidity falls around 40 percent. Be sure to hydrate properly before you attend class. We provide towels! Flow Force - YOU ARE A FORCE OF NATURE, unlock your potential! Lotus Flow Force is a dedicated hour of difficult yet doable poses. The force of mind, body and spirit flowing together as one. This smart aligned vinyasa practice will help create strength within flexibility and flexibility around strength. This class will stretch away stress and build heat from the inside out promoting detox and healing. Each class will end with a deep Savasana. The sequence will be the same for every Flow Force class. Why a set sequence? This is a proven and effective way to amplify the benefits of yoga practice. It has been used for hundreds of years! Flow Force guarantees you a quality class with smart alignment cueing and sequencing. Flow and Go - Flow and Go is the Lotus signature 45-minute class that is designed to get your mind and body in shape during your mid day break! It is appropriate for beginners and more experienced students alike. It is truly a complete mind-body workout. Your focus will improve, your mind will become clear, your body will detox and you will feel as if you are floating out of class with an extra spring in your step. Ashtanga - Ashtanga Vinyasa yoga is deeply rooted in ancient yogic texts and widely acknowledged as the foundation of both Power Yoga and Vinyasa Flow. A progressive system of yoga that synchronizes a steady, deep breath with movement; the practice deepens and evolves with the practitioner through a set series of poses. Hands-on adjustments from your instructor will deepen your understanding of the pose. All-levels are welcome. Yin - The perfect combination of deep stretching and complete relaxation. This class is a wonderful complement to an active practice and is suitable for everyone. It lengthens ligaments, softens joints and relaxes the back. A great antidote to an active day. Restorative & Rejuvenate - Restorative yoga is often referred to as “active relaxation.” The body is supported with the use of props, and we both stimulate and relax the body to move toward balance. The gentle and flowing sequence of poses will create specific physiological responses that are beneficial to your health and stress level. Yoga Nidra - Yoga Nidra or “Yogic Sleep” is conscious awareness of the deep sleep state of the body. You will be guided to leave the waking state, go through the dreaming state and into the deep sleep state, all while staying awake from the comfort of Savasana. This is the deepest of all meditations; it brings restoration to the body, quiet and calm to the mind, and insight to the consciousness. Pre/Postnatal Yoga - Pre and Postnatal Yoga is an opportunity for a community of women to gather and connect with breath, in sharing experience and a gentle yet strong flow of postures. The practice includes specific aspects of labor in mind, and all postures are easily adapted to postnatal bodies, whether 3 months or 3 years. Pregnant women can come to connect with breath, body and baby, and Postnatal women to reconnect to their bodies. Kids Yoga - In this energetic and fun class your kids will enjoy yoga poses, as they bark like Downward Dogs and hiss like Cobras! We will also explore stories, movement, dance,games, breath and relaxation. All different ages levels are offered! Check out the Lotus schedule here. Partner with Mary Clare Sweet, Yoga Life Coach, and Anne Sweet, Life Empowerment Coach for High Vibrational Coaching--a series to teach you mindful tools to empower you to achieve real change. Explore a weekly mediation series and the High Vibe Diet. Check out the High Vibe Store for apparel, oils, balm, and more (members receive 20% off retail purchases). Lotus is always hosting special events like "The Art of Alignment" and couples acro yoga. They're a part of Omaha's High Vibe Festival: Nebraska's first yoga, music, and plant based foods festival. Downtown Lincoln's studio has 7 dedicated yoga instructors. Offers extensive yoga instructor training courses. Offers private sessions and Corporate Yoga, where instructors transport the studio directly to you. The Y is all about strengthening community with youth development and healthy living. With diverse group fitness classes for all levels of ability, an indoor pool, cardio and strength training equipment, and even racquetball rooms, there are plenty of ways to use the Y facilities--and even a sliding scale membership fee to ensure people of all income levels have an opportunity to enjoy them. "We believe that when we devote our full strength to the Y's mission and cause, work in partnership with others and build on our history of innovation, we can address the most pressing issues of our time unlike any organization. We believe in a holistic approach to development, promoting healthy spirit, mind and body. We believe in honoring our mission, living our cause, acting in accordance with our values, and placing the greater good above self." Next Step - Meet with a Wellness Specialist who will work with you to determine the next steps in attaining a healthier lifestyle. This consultation will give you the opportunity to discuss beginning a workout plan or fine tuning your current program to meet your goals. This is for members who need a little motivation, guidance or direction. After you’ve reached a goal, make another appointment to continue improving. Do this as often as you like! Nutrition Orientation - This is a one-time introductory nutrition session provided for all YMCA Members. During the 30-minute session, a Wellness Specialist will explain the benefits of a healthy diet, how to properly record your food intake and may suggest reputable websites for continued healthy nutrition help. The Wellness Specialist may answer some nutrition questions and will explain our nutrition service options. Cardiovascular Equipment Orientation - Explore the many options we have for cardiovascular exercise. Learn how to accomplish your goals, cross-train and how to use each piece of cardio equipment. A Wellness Specialist will instruct you on how to use your heart rate to get the best out of your workout and will discuss the importance of warming up, cooling down and stretching. Strenth Equipment Orientations - Our Wellness Specialist will discuss the benefits of strength training and give you a simple program to follow. We have a variety of strength training options and you are welcome to take advantage of orientations for each of these: Quick Fit, Strength Machines, Free Weights and Cable Tower. We will show you how to correctly adjust each piece of equipment to fit your height and frame and help you determine how many sets and repetitions to lift with an appropriate weight. Health Assessment - Measures cardiovascular fitness, muscle strength and endurance, flexibility, body composition, blood pressure and resting heart rate. You will be given a copy of the results and we will keep them on file. Check out the full downtown wellness brochure. The Y offers drop-in child care while parents/guardians make use of the facility, staffed with people who enjoy and undersand kids. At the Y, we believe everyone deserves the chance to experience holistic wellness — in spirit, mind and body. The Open Doors Financial Assistance Program, supported in part by our Annual Campaign-Strong Kids, uses all available resources to provide support to those who have financial need and qualify for assistance. This program provides families, children and adults with the financial assistance they need to obtain quality Child Care, Youth Programs, and Health and Wellness services.